Will Ballard’s Brewery Bubble Burst? 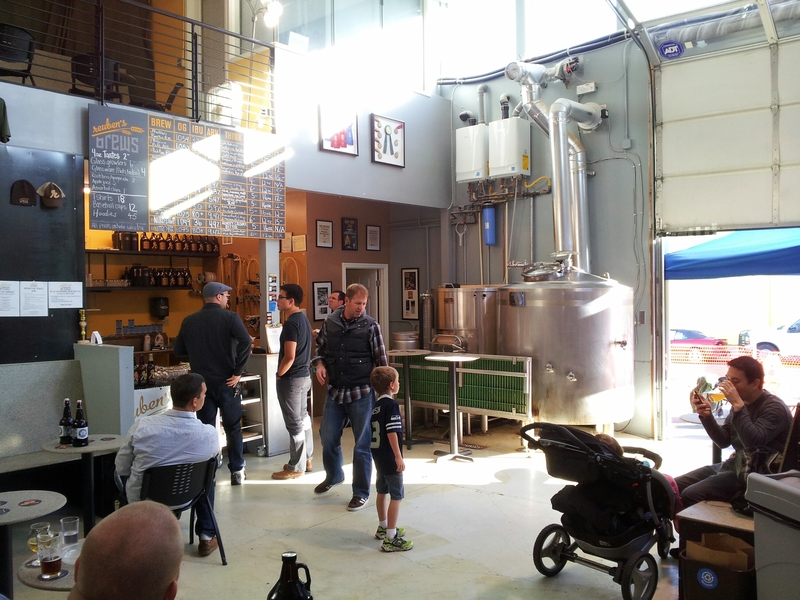 A sunny day at Reuben’s Brews, one of 10 breweries making Ballard a destination for beer lovers. Forgive me for the alliterative headline, but is there any other question to ask? Ballard has become the microbrew epicenter of Seattle with 10 breweries within walking distance of each other. Folks are flocking to the area to participate in brewery crawls, and the breweries apparently have an amicable relationship that involves sharing hops and other resources when the neighbors run out. All this sounds like a win-win for Ballard — the breweries are garnering attention while residents are reaping obvious rewards. But has the area become saturated with breweries? There are some concerning aspects of Ballard’s brewery district, particularly its age. Of the 10 breweries, only two — Maritime Pacific and Hale’s — have been in the area for any substantial amount of time. The rest of the breweries are in their infancy, with many yet to reach their second anniversary. I’ll go out on a limb and guess the majority of these brewers didn’t conduct analyses gauging the beer demand in the market. Steep growth of one industry in one geographic area can result in supply stripping out demand. This, of course, would lead to less generosity in the hop-sharing department. It’s possible Ballard’s brewery district grew too big too fast, but there are other indicators that it may work out. First off, Ballard isn’t unique. It possesses a key trait that has led to similarly dense districts in cities such as Denver and Portland — an industrial background. “Where you have a lot of population density near industrial areas, that’s a good mix for breweries,” says Adam Robbings, the co-founder of Reuben’s Brews, which opened in 2012. Areas such as Ballard that see an industrial backbone come and go have a glut of big warehouses that nicely fit brewery vats. Ballard had the real estate, and once it was filled, the tenants have enjoyed good business, too. “It’s helped us quite a bit,” says Maritime Pacific’s Drew Penhollow of Ballard’s brewery density. “It’s brought people from outside greater Seattle who come in to do brewery crawls.” Maritime isn’t the only one seeing a spike in business. Robbings estimates that half of Reuben’s Saturday crowds show up for brewery crawls. There’s also a symbiotic relationship between Ballard’s mainstay breweries and the newcomers. While the new breweries are drawing fresh crowds, the legacy establishments — Hale’s and Maritime — put the place on the map and had already established Ballard as a spot for reliable craft brews. Some of Ballard’s 10 breweries are destined to fail, but there’s not yet evidence the district as a whole will flop. There’s good beer to be had in Ballard, and people in Seattle and beyond will drink to that.